When we got to the lake, my dad needed to buy supplies for fishing. The Lake was very high. The only way to reach the dock was by boat. Josie and Joseph rode a boat with him to go to the dock to buy stuff. During our trip, my dad was whittling. I asked him if I could try. He had one or two extra pocket knives, so he let me use one that he got at church. That’s how I learned how to handle a pocketknife and how to whittle. We hung up the hammock. We walked around. We went fishing near the top of the flood parking lot, then waded in the water after we finished fishing. After several days, we packed up and got ready to go to the Johnson Shut-ins. There were these huge rocks there, so you could climb on top of a rock, and there would be water going over it. You could slide down it like it was a slide. As you got deeper through, the water would get much deeper. It was fun because there were certain areas where there were big rocks together, so it was like a fort. Me, Josie, and Joseph would play in the fort and splash water at each other and stuff. Then there was a scary part: a family said they saw a snake. Me and Josie were really scared because I thought I saw a snake when we were heading back towards the shallow area, but we never did actually come across one. Here are a few scenes from our recent trip down south to Texas. Three years ago we took our first trips to Hermann, Mo in search of Springerle cookie molds and a fun time. On those trips, we missed out on the Kristkindl Markt, not realizing how early in the day it finished. It’s a bit tricky for us to make it out there, with our church and work commitments on the weekends. Anyway, Sunday we went straight from church to Hermann. Upon arrival, we drove to a town square area where the Kristkindl had been the last time we were in town. But it was empty. Yoli found a friendly older couple who explained the market was being held at Stone Hill Winery. The gentleman also advised us to visit St. George Church for its rectory tour, which he assured us was beautiful and full of trees. Eventually we found the correct hill, parked the car, and wandered into the winery’s gift shop, thinking it might be the market. Lots of grapey gift items, but not what we wanted. At last we were directed to the right spot. Inside we found plenty of lovely handicrafts and food items. If I was a lottery winner, I’m sure I could have bought a minivan-load of stuff, especially the beautiful hand-turned wood items. Particularly eye-catching to me were some hand-painted clay Springerle “cookie” Christmas ornaments. Given Yoli’s affinity for Springerles, this seemed like a natural purchase. The lady selling them loved our little kids and let each of them choose an extra little ornament as a bonus. We also purchased some beeswax ornaments from a honey vendor. We left the winery and made our way back downtown to St. George’s. We walked through the sanctuary of the church, which was beautiful but bereft of trees. The girls were quick to point this out: “Where are all the trees?” A lady directed us to the other side of the church where the rectory tour began. What a beautiful tour! 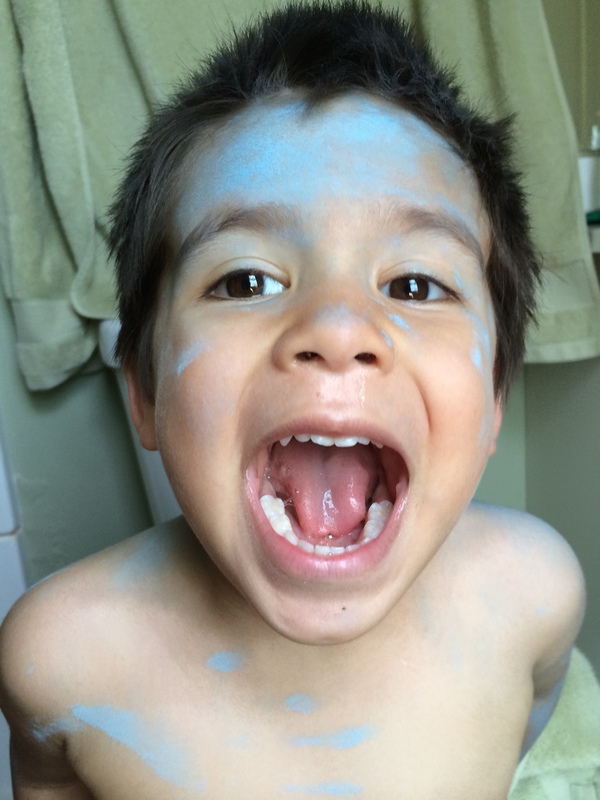 We only explored a fraction of it before the kids (nap-less and hungry) began to get restless, Joseph especially. Each room had its own theme, and all were striking. Yoli and I could have stayed all evening exploring it all. Our final stop was the Deutschheim historic site. Time was running short (I had to get back home in time for work), but we browsed the rooms with old toys and Christmas decorations, transporting back in time. And at last, we made it to the most important part of our visit: the Deutschheim gift shop, where they sell replica Springerle cookie molds. Yoli has been itching for some new ones to increase the variety of the cookies she makes. The gift shop setup was different this year than the last time we were here. The gift items were being sold out of one of the old, electricity-less buildings. So all the transactions were being done long-hand. It took quite a while, and when it was done, the worker who was helping me realized he had the carbon paper in backward. So he had to copy the receipt again. Ah, the modern conveniences we take for granted. A nice Square credit card reader hooked up to an iPhone sure would have been handy for the gift shop folks. And the proof of our purchase: Springerle cookie dough waiting to be pressed into molds and baked. Last year was a summer of waiting, as our house was rebuilt. This year was a summer of change. The biggest change was unexpected and swift: My dad lost his job of 25 years, but in short order found a new job — in San Antonio. He and my mom finished a number of projects on their house and then put it up for sale. Thankfully they didn’t have to wait long, and before we knew it, they were preparing to move. Amazingly this all coincided with our family’s already-planned vacation in Texas. My mom and dad showed up in San Antonio several days after we arrived, which allowed us to spend more time with them post-move than we otherwise would have. Unfortunately, during our vacation I got news of impending layoffs at the Post-Dispatch. Each time we go through this is harrowing. This time moreso because I had heard rumors my own department would be affected, and because of the experience of seeing my dad lose his job. Thankfully, the rumor was false, and we gave a sigh of relief. But many talented friends and colleagues were let go. There were other changes, too. First was our yard. It was pretty much a disaster after the tornado, pitted and weedy and laden with tree and construction debris. We hired a landscaping company to re-grade it and put down some sod. Little did we know we would be in for the worst drought St. Louis has seen in years. But thanks to Yoli’s faithful watering (and our neighbor’s granddaughter while we were in Texas), the grass survived. Now it is thriving. As we wrote previously, all four of our kids took swimming lessons. 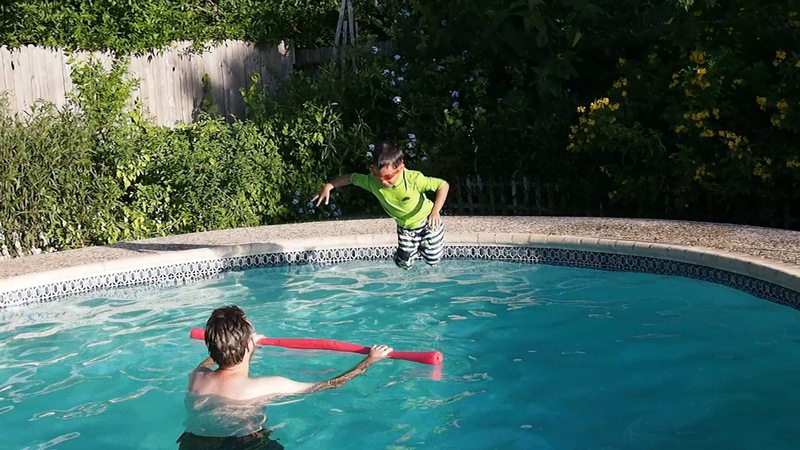 When we were at Clearwater Lake with my parents and when we were at my Nan’s pool in San Antonio, the kids put the lessons into practice. We were thrilled to see their progress. Jadzia and Ludi have also become bike riders, though we still have work to do there. 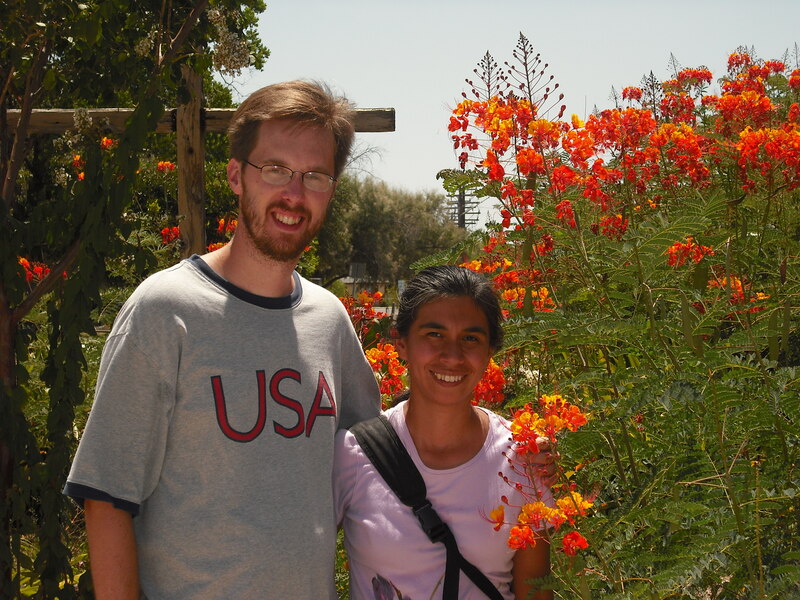 This was also the kids’ first summer attending VBS. They attended two different VBS programs at Ferguson churches and had a blast. During our trip to Texas, the kids visited the coast for the first time. And Jadzia was able to visit the Houston Space Center. And just as quickly as that, school was upon us. Jadzia moved up to 2nd grade, and Ludi began kindergarten. Both are flourishing in their classes. 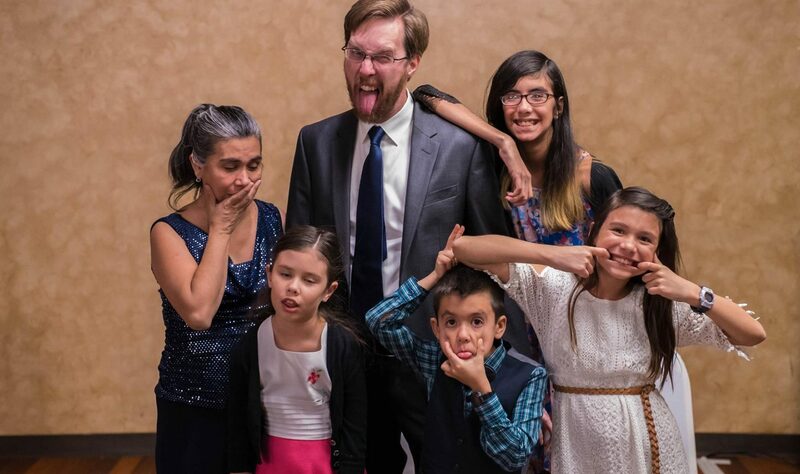 We were thrilled as two different friends had their weddings. I was honored to give a toast at the first wedding reception. The second wedding was held at the Shrine of St. Joseph in downtown St. Louis, which was significant to me because my immigrant Becker ancestors were married there in 1860. 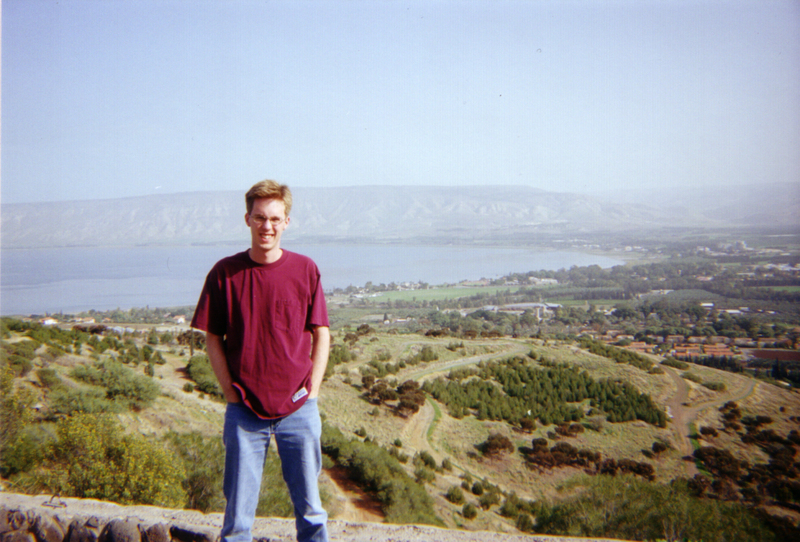 But 12 hours after that second wedding, I was in a car with my brothers, driving through the night to San Antonio to mark the saddest change of the summer — my dad’s sister, my Aunt Carol, died. It wasn’t totally unexpected, but still it surprised us and hurt anyway. The blessing of all this was that the funeral brought us together with our parents and all my dad’s siblings for a few days. That doesn’t happen often. So much happened. Summer slipped by. 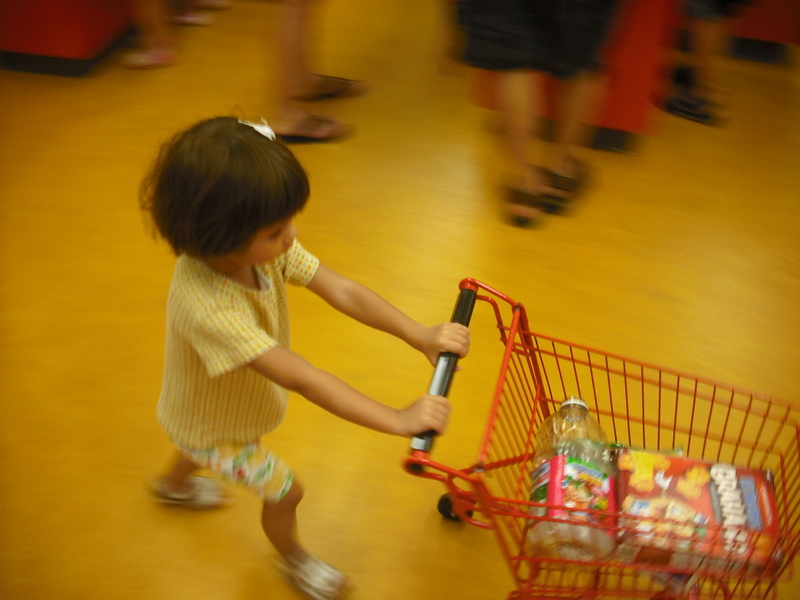 Josie cruises through the play supermarket at San Antonio’s Children’s Museum. Yoli and I at Mission Concepción. 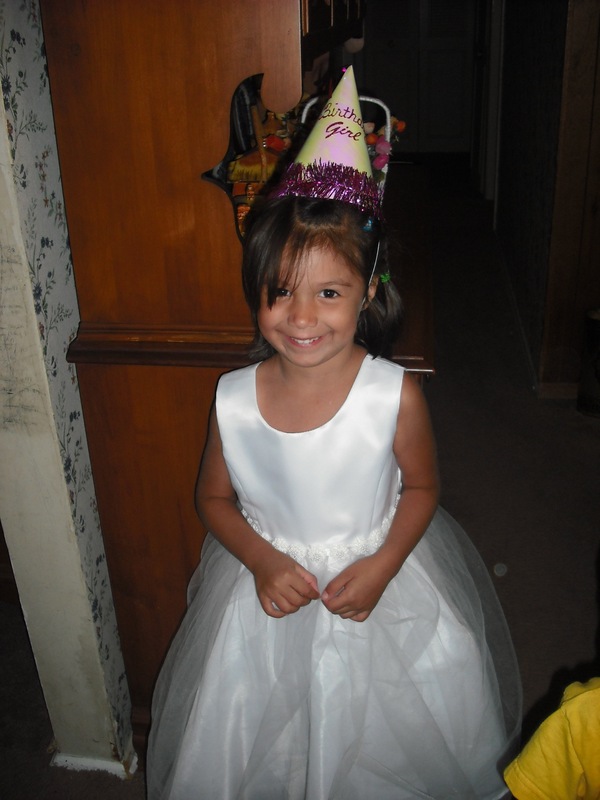 Ludi celebrates her fifth birthday at Nan’s house. 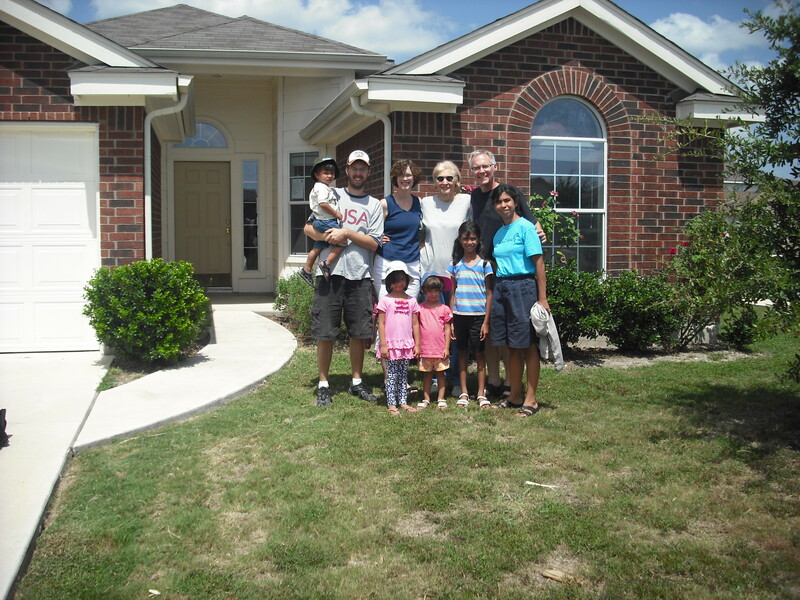 Family photo of us (plus Grandma Renaud) in front of my mom and dad’s new house in San Antonio. 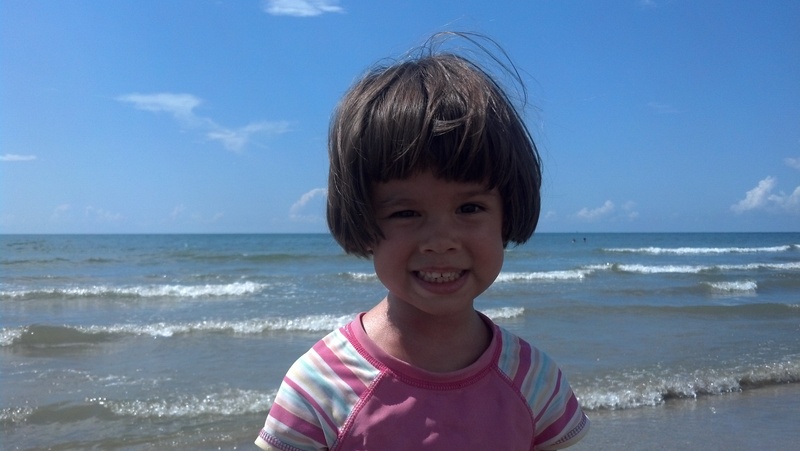 Josie enjoys the waves at Galveston Beach. 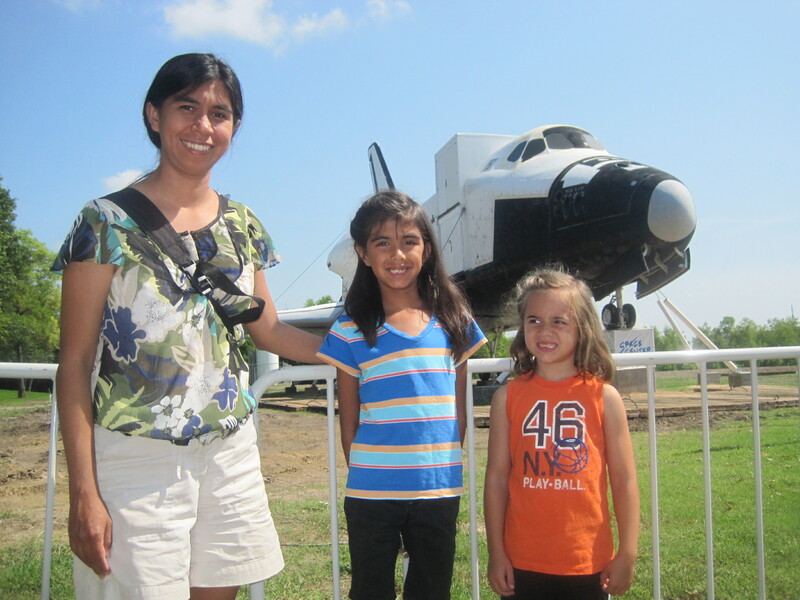 Yoli, Jadzia, and Xena pose at the Houston Space Center. 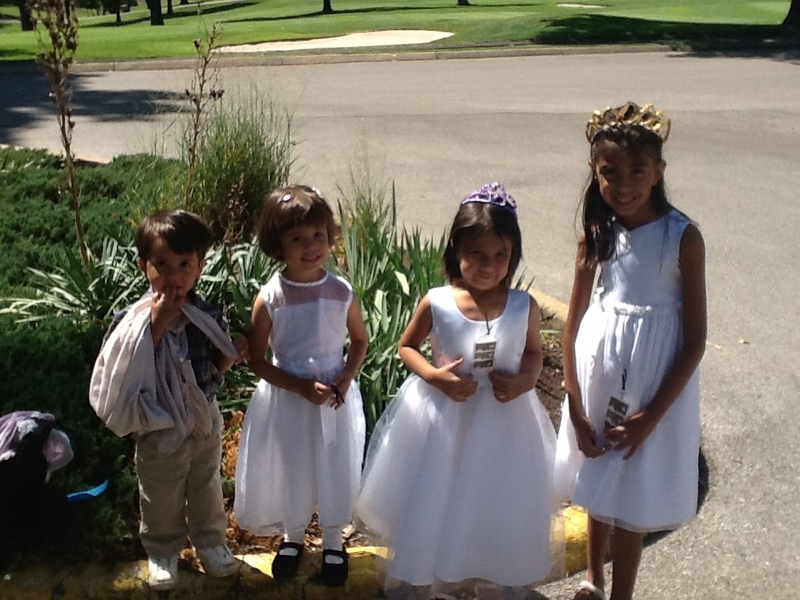 The kids got all dressed up for Doug and Kristin’s wedding reception. 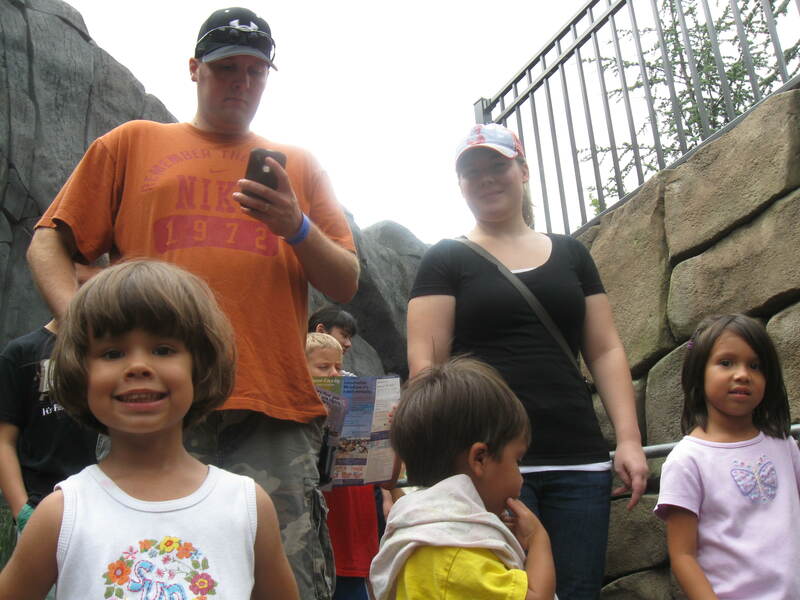 We visited Tio Jonny and Tia Brittney at the St. Louis Zoo on Labor Day. 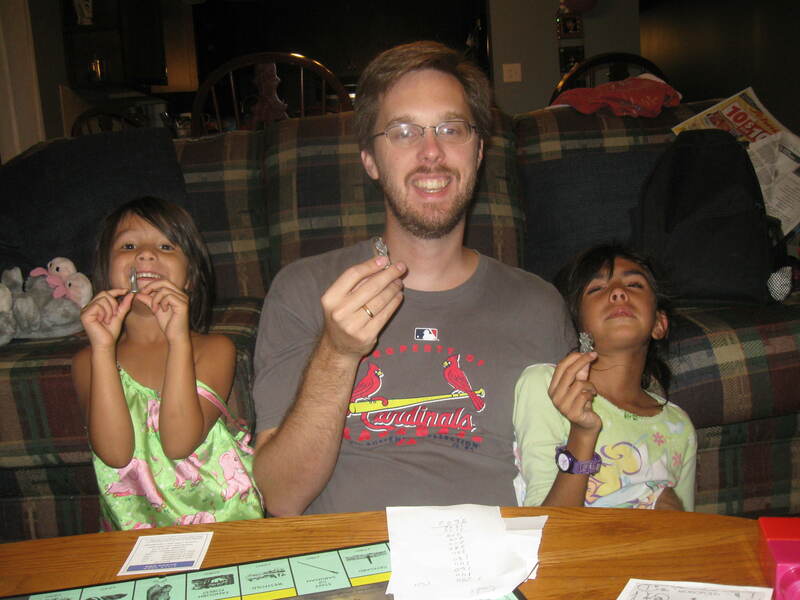 Ludi, Jadzia, and I after completing our first game of Monopoly — Lord of the Rings Monopoly, that is. 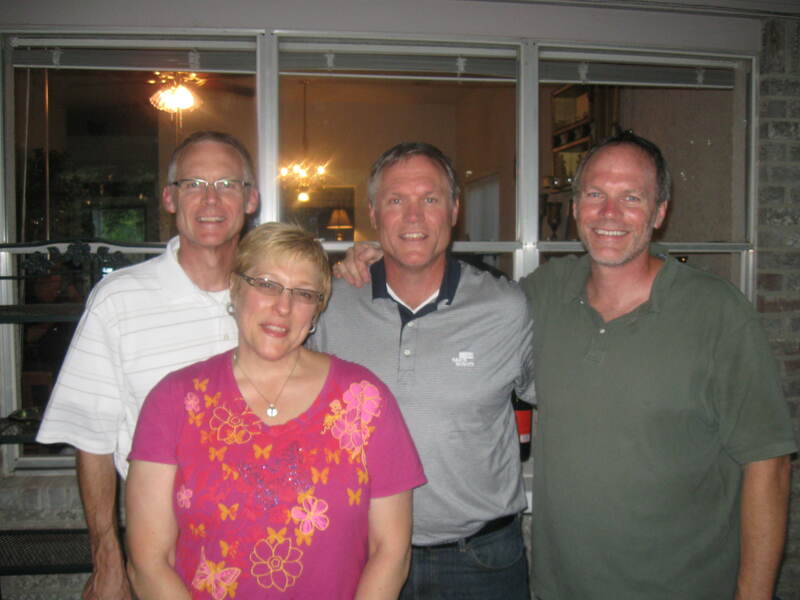 My dad, Aunt Joyce, Uncle Jerry, and Uncle Jim at the open house the night before the funeral for their sister, my Aunt Carol. 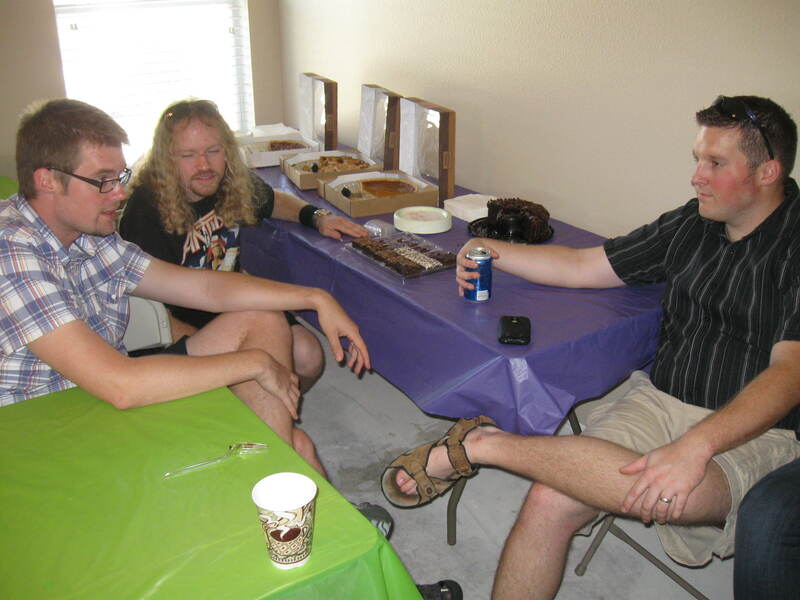 Justin, Dion, and Jon engage in a sports debate at lunch at my parents’ house after the funeral. 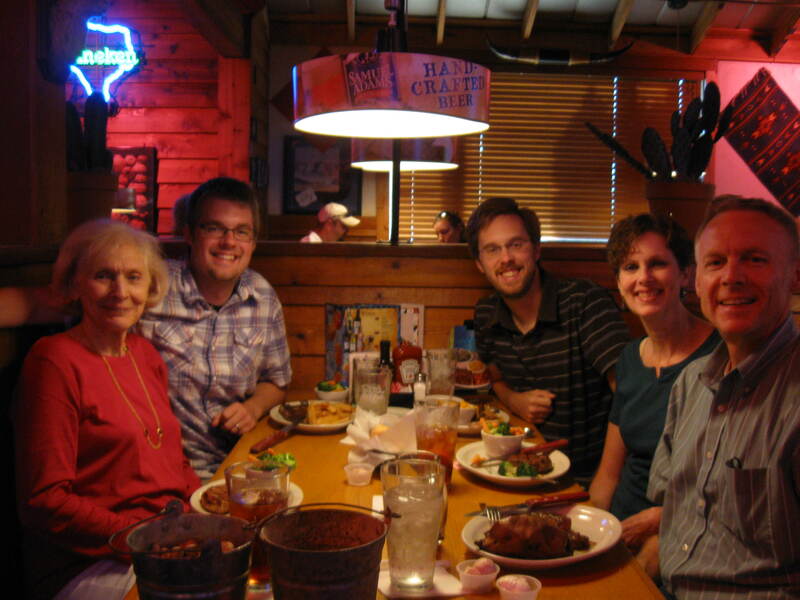 Grandma Renaud, Justin, me, mom and dad went out for steaks on my last night in San Antonio. Sunday began bright and early: we had to catch a train from Wellingborough into London for the day. Andrew and Toni took Nan and me around to a number of villages in Northamptonshire with family connections. The first stop was Brafield on the Green. At the church we found a lady who had just finished cleaning and was heading out. She graciously opened th church for us and directed us to the farm that formerly belong to the Satgeant family. My great-great-grandmother Emily Elizabeth Barker worked there in service (more or less as a maid).